Go ahead, Shadow. Make my day. Um, yeah. So I'm crawling back into my burrow to work on some of my un-reality while Punxsutawney Rambo here guards me from more wintry weather. Later, gators! 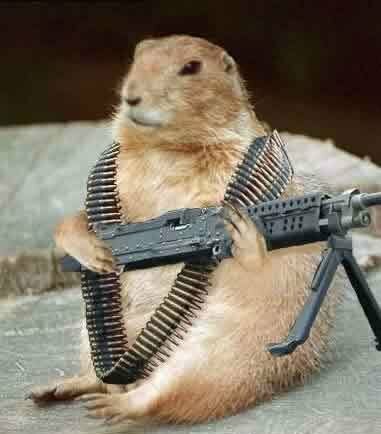 May the groundhog be good to you.